We started off the Halloween season slightly early. 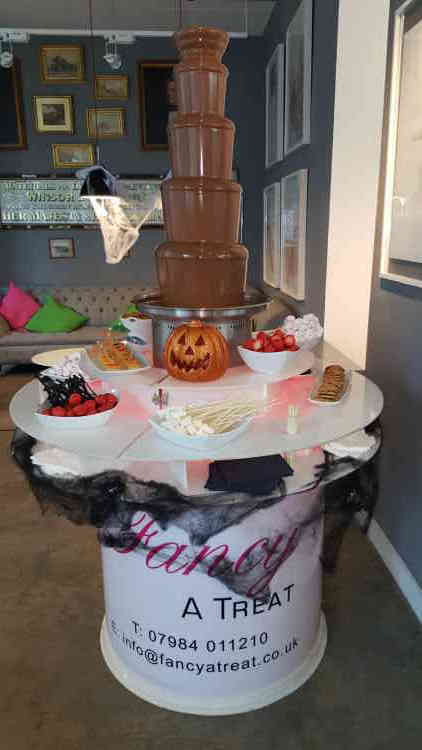 Our Halloween Chocolate Fountain is in spooky, ghostly and terrifying demand! All the creepy crawly dippings including fake spiders, marshmellow ghost shaped and apples and pumpkin.